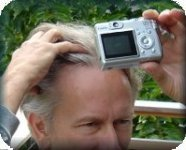 Can Beta Blockers Cause Hair Loss? The incidence of hypertension, or chronic high blood pressure, is much higher than most of us realize. Nearly 1 in 3 adults have hypertension. Hypertension is a major contributor to stroke, heart failure, chronic kidney disease and other serious ailments. The most common drug treatment for hypertension is beta blockers. The symptoms of hypertension are so subtle that many people often don’t even suspect they have this condition. It is misleading to say that people “suffer” from hypertension, because they may not suffer at all until later stages, when a stroke, myocardial infarction, kidney or eye damage, or other dramatic event may occur. 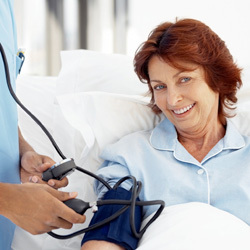 Regular screening is the best way to find out if you have hypertension. Doctors regularly check blood pressure, but if you do not go to the doctor for any other reason, you should at least have a yearly exam to check all vital signs, such as blood pressure and heart rate. County nurses can also check blood pressure, and even some grocery stores provide a meter! In other words, have your blood pressure checked regularly, and if it is chronically high, prepare yourself to work with a doctor help it stay in a normal range. All of the causes of chronic high blood pressure or hypertension are not known, but factors that contribute to hypertension include smoking, obesity, poor diet, low activity, genetics, and age. Because genetics are involved, you can get hypertension in spite of leading a very healthy, active lifestyle. Unfortunately, beta blockers can have difficult side effects, such as insomnia, nausea, and dizziness. Find out all of the side effects from your doctor and pharmacist, and you can also see the list the manufacturer publishes by looking up the name of your hypertension medication on the Internet. Will you see “hair loss” on this complete list of side effects? Not necessarily. But, as a dermatologist and hair transplant doctor, I hear many anecdotal reports about hair loss after starting beta blockers for hypertension, even from patients who had not experienced much hair loss previously. With most drugs, the hair will start growing back when the patient is gradually taken off the particular drug. (Do not ever stop taking a hypertension drug abruptly, and always follow your doctor’s advice.) However, most of the time, hair loss after taking beta blockers for hypertension is permanent. Luckily, new drugs for hypertension are being created that have fewer side effects, and hopefully that will mean no hair loss as well. You shouldn’t have to choose between hypertension medication and hair loss! You must listen to your doctor in order to protect your organs and your life. But discuss various medications with your doctor, and also inform yourself. If you are losing hair, you may be a candidate for a hair transplant to restore your hair. This entry was posted in Baldness, General, Hair Loss, Hair Transplant, Hair Transplants, Health - General on January 6, 2012 by Larry Shapiro.